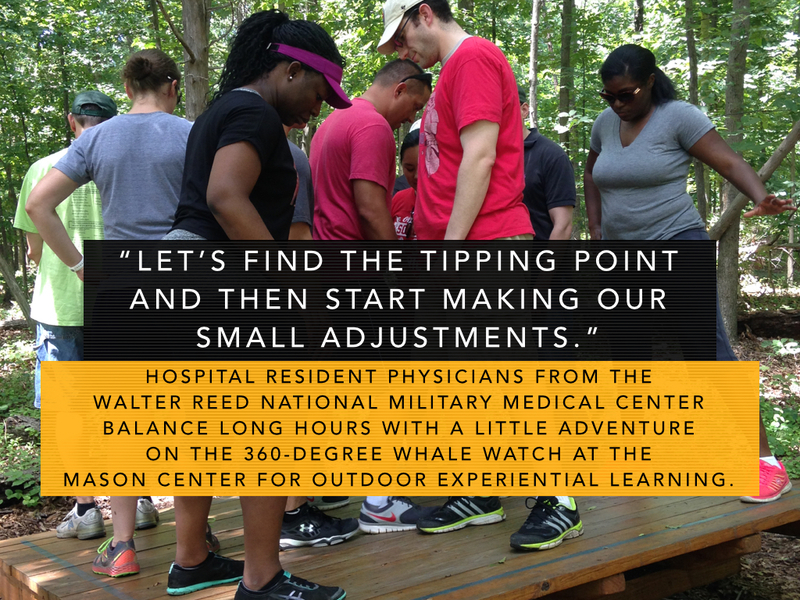 Yesterday, I had the unique privilege to lead a group of hospital resident physicians through a number of challenges at the Mason Center for Outdoor Experiential Learning. 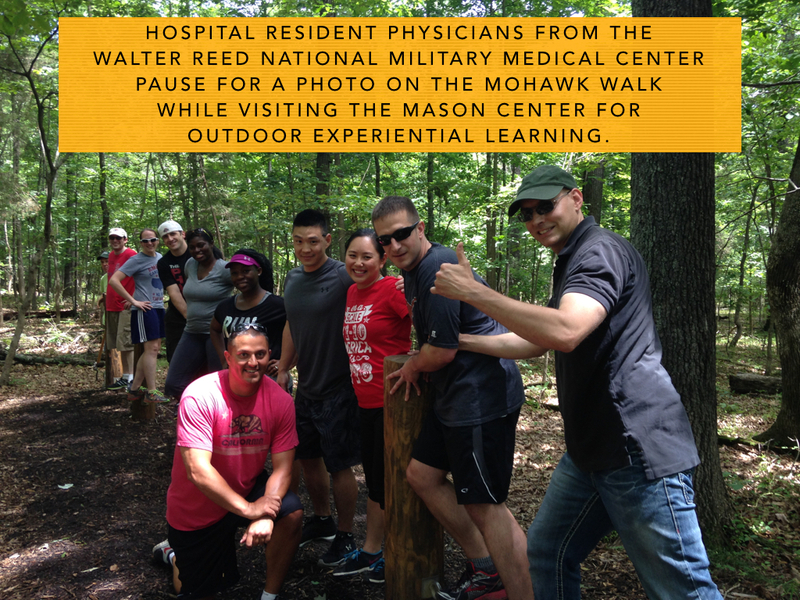 This group of Army doctors opted to spend a little of their ‘free time’ away from 80-hour weeks and making hospital rounds at The EDGE. Working with these doctors-in-training was a treat. Watching them accept each and every challenge presented and then meeting and exceeding all expectations has reassured this Army veteran that our troopers and their families are in good hands. 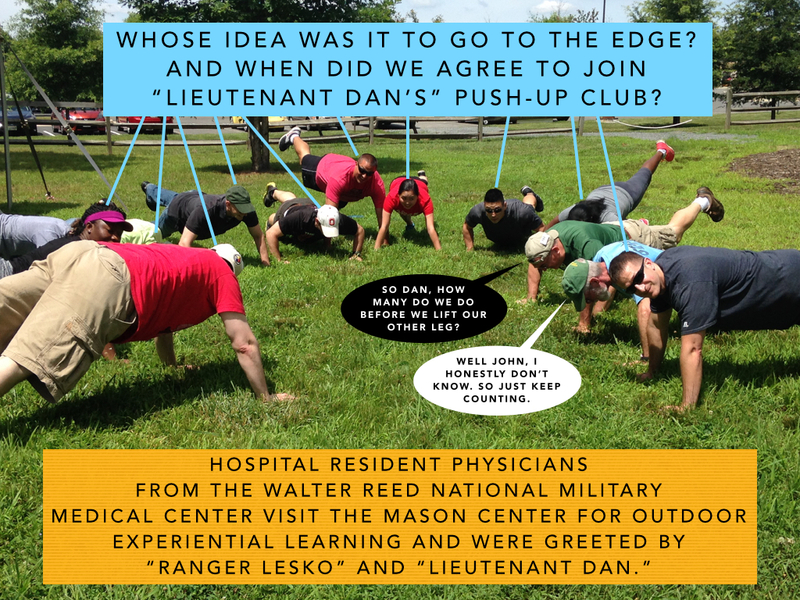 Here’s hoping that this group of doctors feels the same way about their visit to The EDGE.